Everyone has a favourite internet time wasting activity. For some, it’s watching videos of cats, pugs or sloths. For others, it’s swiping through strangers’ instagram accounts, being careful not to double tap. For me, it’s looking at photos of amazing hiking and adventure destinations that I can’t afford to visit. Rather than feel bad about the hours I spend ogling other people’s travel pics, I’m going to share my best finds with you on my Daydream List. This week’s daydream destination is the Tiger Leaping Gorge Trek in the Yunnan province of China. This two day trek winds through Tiger Leaping Gorge, one of the world’s deepest river canyons and is bordered by two towering peaks, Haba Snow Mountain and Jade Dragon Snow Mountain. If snowcapped mountains, white water rapids and turquoise pool aren’t enough excitement for you, the final leg of the trek includes a 168-step climb up the Sky Ladder, which rests against the side of a mountain on an almost 90 degree angle. While the ladder doesn’t have any kind of safety measure, it does save you up to as much as an hour of extra walking. 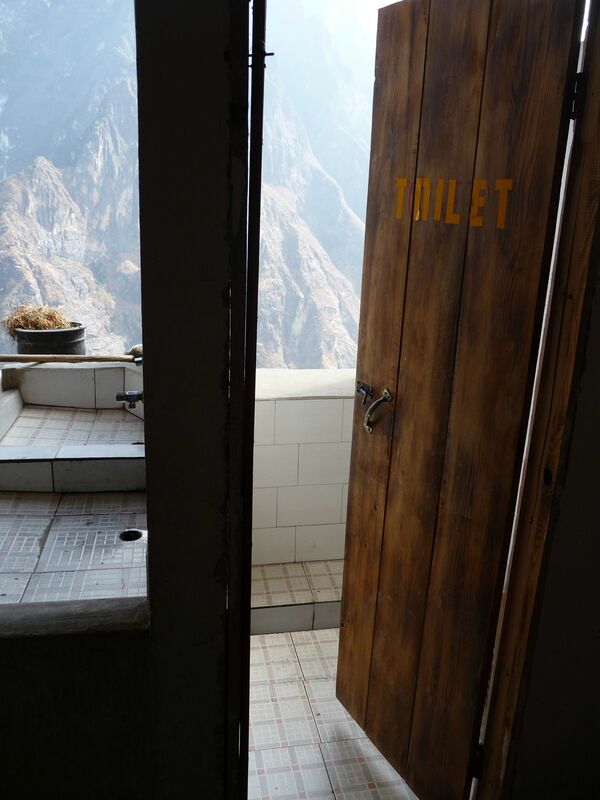 While the natural wonder of the Tiger Leaping Gorge is undeniably incredible, what really makes me want to go is this toilet. Imagine that, after a long day of hiking you can sit down, relax and enjoy a beautiful view in peace. Ahhh, bliss.